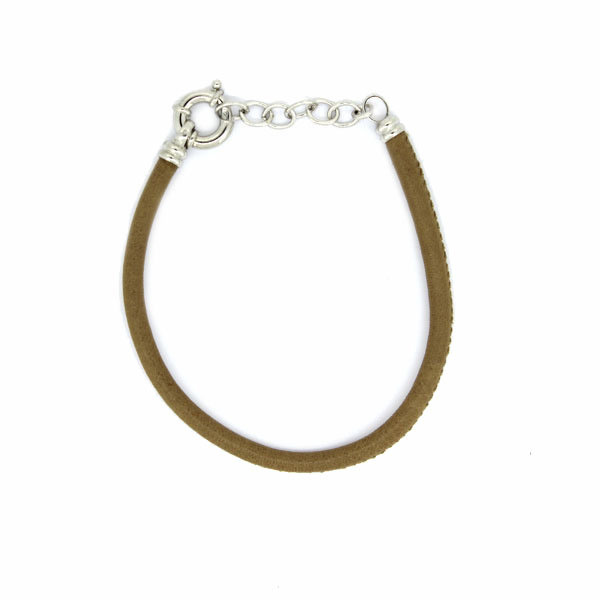 Unisex khaki leather and silver bracelet. Bracelet, sewn khaki leather with silver rhodium-plated 925 thousandths close. Excellent complement both for man and for woman. 19 cm zipper leather bracelet spring ring clasp adjustable anson.